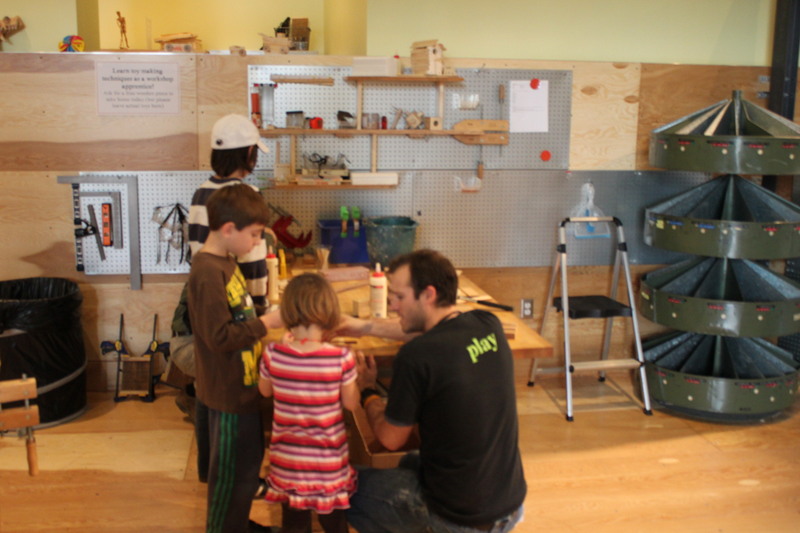 Last weekend the MAKESHOP was visited by Chris Bandy, a wooden toy maker. Visitors were able to learn what it means to be a woodshop apprentice. While I was in the MAKESHOP, Chris and the visitors were busy working on wooden “tic, tac, toe” boards. There were various steps in the process that visitors could help with. There was sanding and finishing that needed to be done, wooden inlay that needed to be glued into place and pieces that needed to be sawed down to the right size. Visitors were also able to watch Chris demonstrate some of the bigger tools he brought with him, such as a drill press. It was fun watching the visitors participate in all of the different steps. I asked Chris if he had ever worked with kids before in this fashion. To my surprise he replied, “no”. His time spent at the Museum that weekend was the first time he had ever attempted this kind of project. He really enjoyed it. It was definitely a new experience for him. It was a shared experience for everyone involved. The visitors got to learn and try various woodworking techniques. They were also able to get a sense of all the steps it takes to create a single project. Chris Bandy was able to bring his workshop into a public setting. 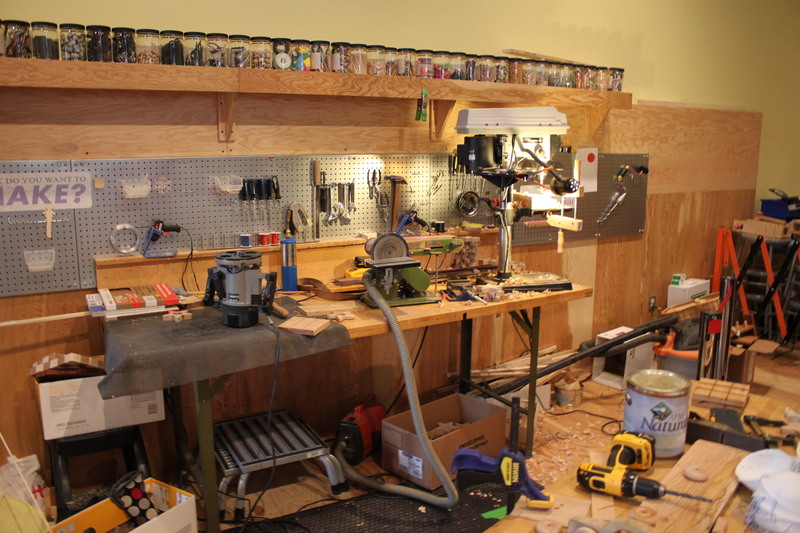 It was great seeing the space transformed into a toy workshop! 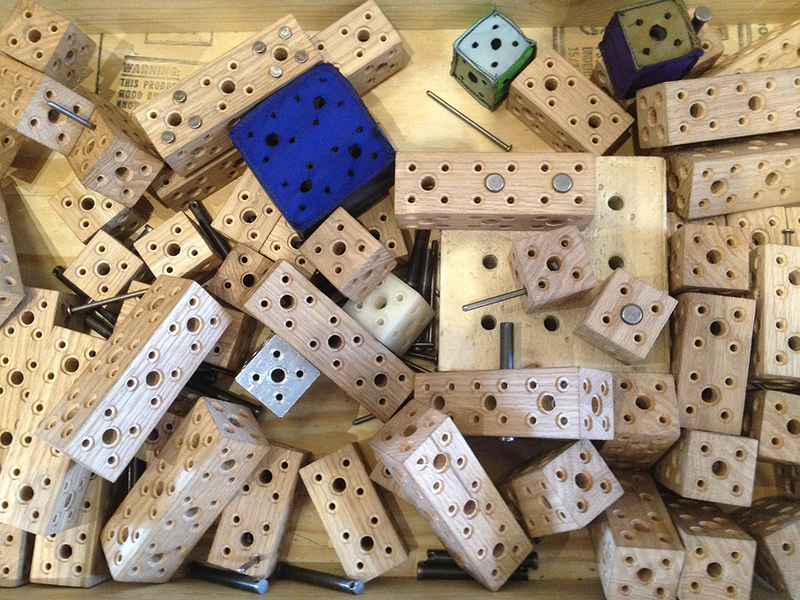 Visit the Bandy Woodworking Etsy page to see the different toys that Chris makes.